Karen Goeller, CSCS, has educated thousands in the fitness and gymnastics industries with her books, articles, and in person. She has been training athletes since 1978 and adults since 1985. Karen Goeller is the author of more gymnastics books than anyone in the USA. Karen started writing books after she was involved in an accident in 2000 and suffered permanent spinal damage. She stopped coaching gymnastics and left her advertising job. To remain involved in gymnastics and fitness, Karen turned to writing. Karen's fitness books include the Legs Plus Workouts book and Swing Set Fitness books. Her most recent gymnastics books is Gymnastics Lessons Learned. Her gymnastics drills and conditioning books are very popular. And her journals are loved by gymnasts and fitness enthusiasts of all levels. Karen has produced State Champions, National TOPS Team Athletes, and Empire State Games Athletes. Three National Champions are from Karen's gymnastics club. This success was after her 1991 cancer surgery. The cancer surgery was a success, but Karen was left with lymphedema in her leg. She has written a book on life with lymphedema. Karen and her athletes have been featured on TV, radio, and in newspapers since the 1990's. She has appeared on Good Morning America, GoodDay NY, Eyewitness News, and NY Views (old show) among others as well as in The NY Times, NY Newsday, Brooklyn Bridge Magazine, Interview Magazine, and most Brooklyn, NY newspapers. More recently Karen has been featured on Your Story Matters, Lymphedema Mavens, Erin Ley Radio, Lynn Johnson Radio, I Run MY Body Radio, Late Night with Johnny Potenza TV, Talkin' Health with Joe Kasper Radio, Coast Star, Asbury Park Press, Observer/Reporter, Staten Island Advance, and Inside Gymnastics Magazine. Karen has worked for world famous Olympic coach, Bela Karolyi and was the first female camp director. Before earning her BA Degree, Karen's education included training as an EMT, Physical Therapist, and Nutritionist. She has had certifications such as EMT-D, Nutritional Analysis, Fitness Trainer, many USAG certifications, and the NSCA-CSCS certification. In more recent years Karen has started an acting career and has worked on many popular TV shows and movies. Just search her name on IMDB to see her acting credits. Karen is available for book signings, to speak for your group, or for acting roles in film, tv, and commercials. Here is her blog, http://www.KarenGoeller.com. 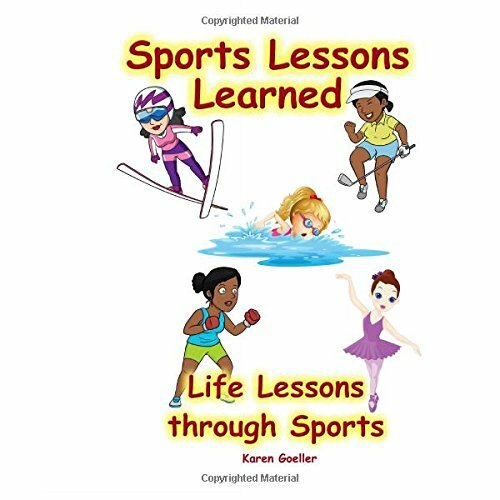 Sports Lessons Learned: Life Lessons through Sports is a collection of stories about female athletes who have learned valuable lessons through sports. Sports include gymnastics, cheerleading, tennis, golf, skiing, boxing, martial arts, swimming, diving, track, soccer, and dance. By reading these short stories your child will learn new lessons, change their attitude, or possibly redirect her sports career. The stories show the value of sports lessons beyond the fun, skills, and competitions. Your child will enjoy reading this book and sharing the stories with her friends. Nice gift for any female athlete, sports parent, or sports coach. Karen Goeller's story, dealing with a cancer diagnosis at age 25 and the lymphedema afterwards. You will be inspired to push yourself to beat the odds, accept the challenge, and reach your goals. You will see how Karen Goeller went from being the bed-ridden patient to who she is today. She has accomplished great success after the doctors told her that she would never work again. Twenty years later Karen Goeller is living a full life, the life she was told she would never have. Karen Goeller wishes to help others dealing with lymphedema with her tips on exercise, the resources, and dealing with lymphedema. 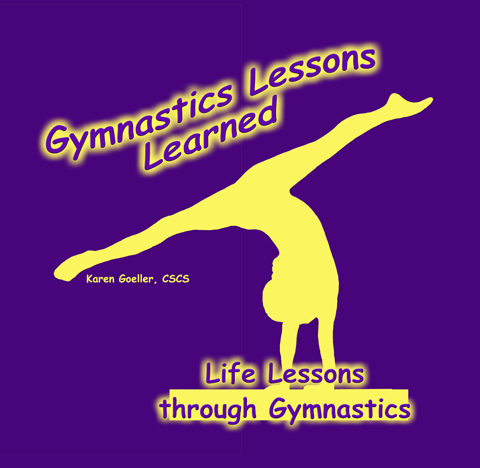 This is a collection of stories about gymnasts who learned valuable lessons through gymnastics. Most gymnasts here were the author's own gymnasts. By reading these short gymnastics stories your child will learn new lessons, change their attitude, or possibly redirect their gymnastics career. The stories show the value of gymnastics lessons beyond the fun, gymnastics skills, and competitions. Gymnasts will enjoy reading this book and sharing the stories with their friends. Nice gift for any gymnast, gymnastics parent, or gymnastics coach. This fitness journal is great for people who need motivation to workout or those want to keep track of their workouts. It should be useful for anyone who is just starting to exercise, the person who has been training for years, college athletes, and bodybuilders! This fitness journal helps with the planning phase and with the training phase. There are spaces for goals, workout details, and even spaces to record meals. Order this amazing fitness journal today! This fitness book is useful for anyone with the desire to track progress. Use this strength training journal to record workouts as you complete them or write in a training program for the future. This unique strength training journal can also be used for personal training. Your Personal Trainer can fill in the exercises and give this journal to you as part of the personal training service. There are spaces for strength exercises, cardiovascular training, and stretching exercises. There are over 100 pages of blank strength training charts. You get a great variety of workouts that range in difficulty. There are at 12 fast and effective workouts, more than enough to make a real difference! Perfect for anyone who enjoys exercise. Use these workouts to gain strength and become more fit. 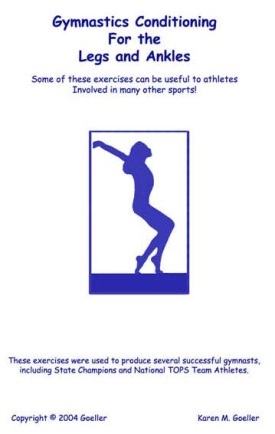 Many of the exercises in this book were in Karen Goeller's gymnastics training programs. You will gain strength and become accustomed to supporting your own body weight in motion. There are full body workouts and split routines. Once you learn these exercises, you can create your own workouts. You'll reach a remarkable fitness level after performing these workouts frequently and consistently. People will ask your secret. Wait until you try the workouts performed on a playground swing. Get this book, have fun, and become fit! You get nearly 50 exercises and at least a dozen workouts, more than enough to make a real difference. This book is perfect for firefighters, police officers, rescue workers, military personnel, nurses, construction workers, athletes, or anyone who relies on their strength. Use these exercises and workouts to gain strength, flexibility, and become more fit. This fitness book is truly original and unique. Many of these exercises were taken from Karen Goeller's gymnastics training programs while others are more traditional exercises. The workouts range in difficulty with full body training and split routines. Most people reviewing this book will find several exercises they could never have imagined. Wait until you see the exercises and workouts performed on a regular playground swing. You will not believe your eyes! Order today and accept the challenge! A great variety of the exercises that range in difficulty. Each chapter focuses on a different body area in addition to a chapter with stretching exercises. This unique fitness book is filled with exercises that will prove to be a challenge to even the most fit. 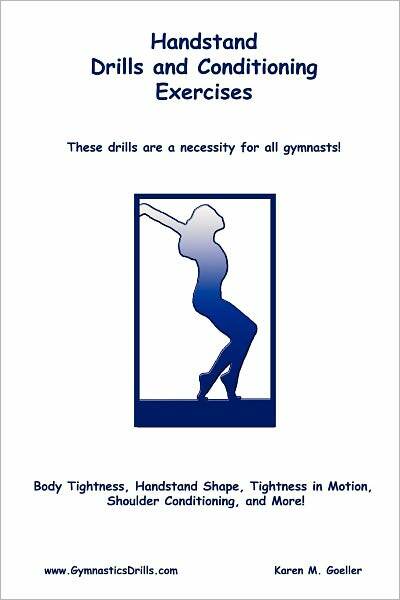 Many of the exercises in this book were taken from Karen Goeller's gymnastics training programs. Other exercises are the more traditional exercises. Relax at the end of your workout with some of the stretching exercises! How much would you pay a very experienced fitness expert to teach you nearly 50 new exercises? That could cost well over a thousand dollars! Get several exercises and create your own great workouts by performing one exercise from each section. You'll feel like you hired a personal trainer and in the process, you'll reach a remarkable fitness level. People will ask your secret! This Gymnastics Journal has spaces for gymnastics competition scores, event goals, future goals, and much more! You should have enough space for more than one gymnastics season. In one journal you'll be able to track your progress and your goals from year to year. Written by a very experienced coach, she helped her gymnasts set goals, achieve them, and even surpass them often. Karen Goeller has produced several successful gymnasts. There are five gymnastics conditioning workouts in this book. Topics include endurance, core, upper body strength for uneven bars, leg strength, and more! For best results alternate these workouts. The shoulder exercises are for cast handstand, the hip flexor exercises are for straddle jumps, the wood chop and other oblique exercises performed with straight arms are for twisting, the exercises performed with the ball help with handstands, including cast handstand, the leg exercises are for the push of the round off and back handspring, the running exercises are for vaulting and tumbling.